Haven Power has installed almost 500 square metres of solar panels at its premises on Ransomes Europark, Ipswich. The panels, which can produce enough renewable power in a year to charge an electric vehicle 2300 times, are part of the business electricity supplier’s efforts to be a sustainability leader. Haven Power has already replaced its lights with more efficient LEDs (light-emitting diodes). Since the installation, the company has reduced its daily electricity consumption by around 15%. It expects this figure to fall even further when the newly-installed solar panels begin to generate electricity. It has also installed electric vehicle (EV) charging points for employees and visitors to use. Haven Power’s people can also use a BMWi3 EV pool car when going to see clients and travelling on other business. In the coming months, the company plans to install a battery to store the excess power produced from its solar panels. 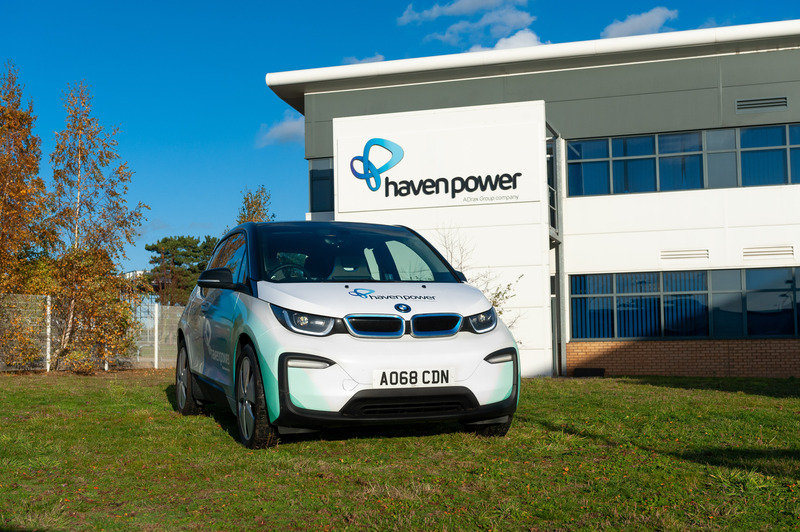 Paul Sheffield, Chief Operating Officer at Haven Power, said: “By turning our office into a truly energy efficient building, we’re reducing our CO2 emissions by over 47,000 kilograms a year – the equivalent of taking 33 cars off the road. We’re also demonstrating to other businesses how these initiatives can work. Haven Power works in partnership with its business customers, offering renewable electricity as standard and a range of added value energy services. As part of Drax Group, the supplier is striving to enable a zero carbon, lower cost energy future.